Home » General » Pleased to Meet You » Hello, everyone! It's good to be back (again)! Thought I'd introduce myself properly this time: My name is Kjersti and I live in Oslo, Norway. I study Arabic at the University of Oslo and am currently horseless - time is scarce! However, when I do have the time, I ride my friends' Icelandics, which makes for a nice break from the city life and offers several other challenges. (Have you ever had a horse bolt in flying pace?). I don't have a specific discipline - I've never competed - but will ride or drive just about anything. (Though I must admit I am a terrible jumper and prefer flatwork to such acrobatics). 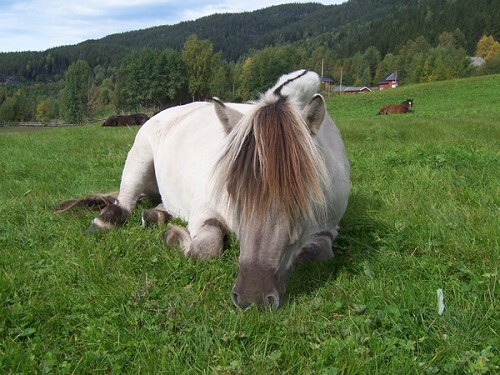 Nor do I have one favourite breed, but I do have a soft spot for the Fjord horse. 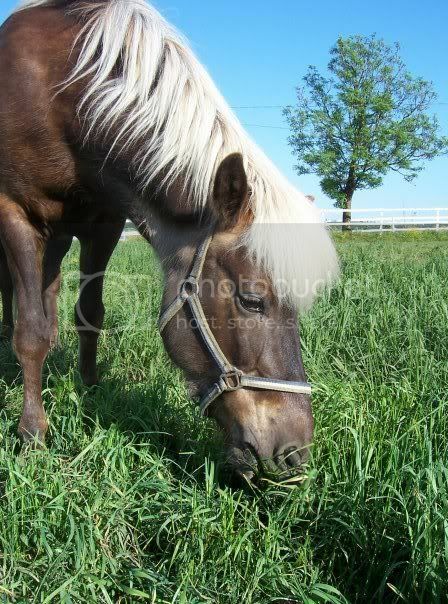 My interest in equine colour genetics came about a few years ago when I had to write a paper for school, and almost randomly chose horse colours, which at that time I knew next to nothing about. So I sat down and did some research, and of course the more you know, the more you want to learn, so I've been reading on and trying to keep up with the latest developments since then. I've been a member here for a few years, but never really posted much myself. Like I said, it's nice to be back! Hopefully I'll have the time to keep up with all the interesting discussions taking place here! 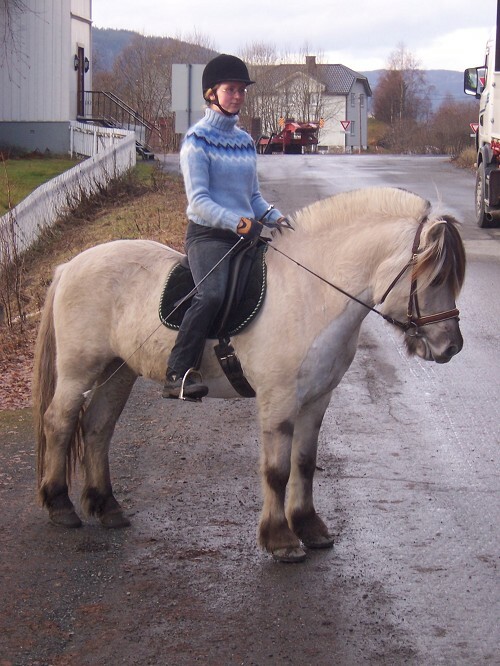 Now since you all like looking at everyone's horses, here's a few Nordic beasts I'd like to share with you: This is Samson, my previous lease horse, a grullo Fjord gelding. He gets fuzzy when the cold sets in... Here we are on a short hack. 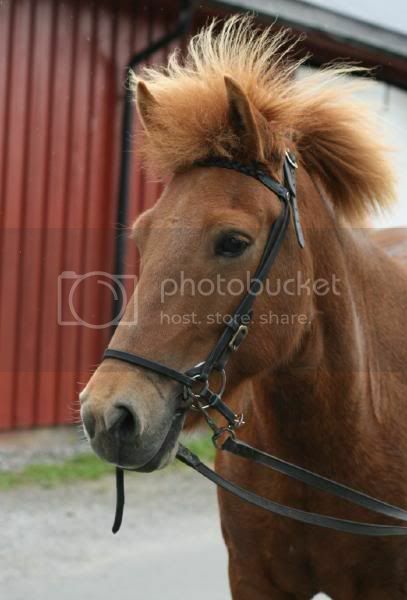 My friend's mare, Lukka fra Skrindo. 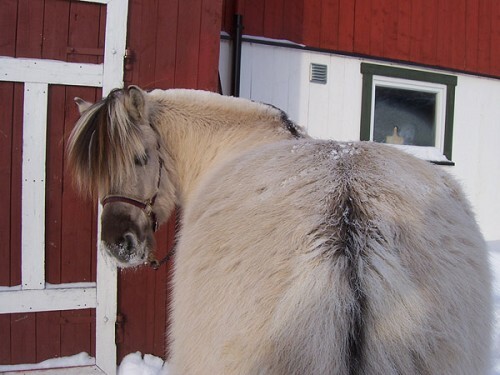 My other friend's mare, Dröfn frá Krossi. Wow, Welcome, I am constantly amazed at the excellent English spoken by our "European" friends.....I don't think I can even get by in French anymore!! Other than that, I'm still studying Arabic in Oslo and too busy to ride on a regular basis. But one day I'll buy a pretty little Arab, for sure! It has been awhile since you posted, but it is great to hear about your adventures in Syria...that sounded like some kind of ride (I know I couldn't do it...rofl). I wouldn't have been walking very well either :rofl .